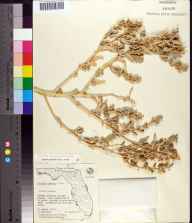 Florida (USA), Collier County, Cape Romano, Sandbar southeast of Cape Romano. Beach vegetation of 20 genera thriving in pure white sand. Conocarpus the only tall shrub. 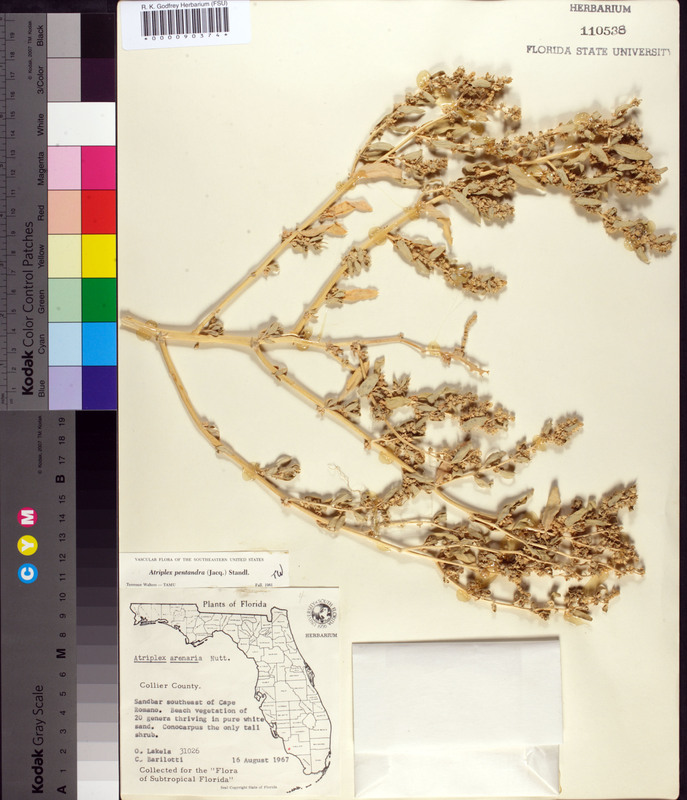 Collected for the "Flora of Subtropical Florida"
Documented by bonnie123 on 29th May 2015.